Following World War II, servicemen who had sampled and helped build the immense popularity of Pronto Pups while stationed throughout the Western states, realized the possibilities in Pronto Pup shops for their own post-war business. Franchises sprung up from coast to coast and Pronto Pups become a national sensation. Few if any of these original Pronto Pup restaurants exist today, but many of us have sampled and savored Pronto Pups at carnivals, county fairs and from street vendors. While a few other places across the country claim to be the birthplace of the corndog, no claims predate the Boyingtons’ Rockaway Beach invention. The corndog was invented in Rockaway Beach, Oregon by husband and wife team George and Versa Boyington in the late 1930s. The Boyingtons ran a small hot dog stand on the beach, selling the dogs to tourists and locals alike. When the rain came and ruined the buns, George Boyington came up with the idea of cooking a "bun" as needed. He created a pancake batter based mix and the duo came up with the formula still used today. 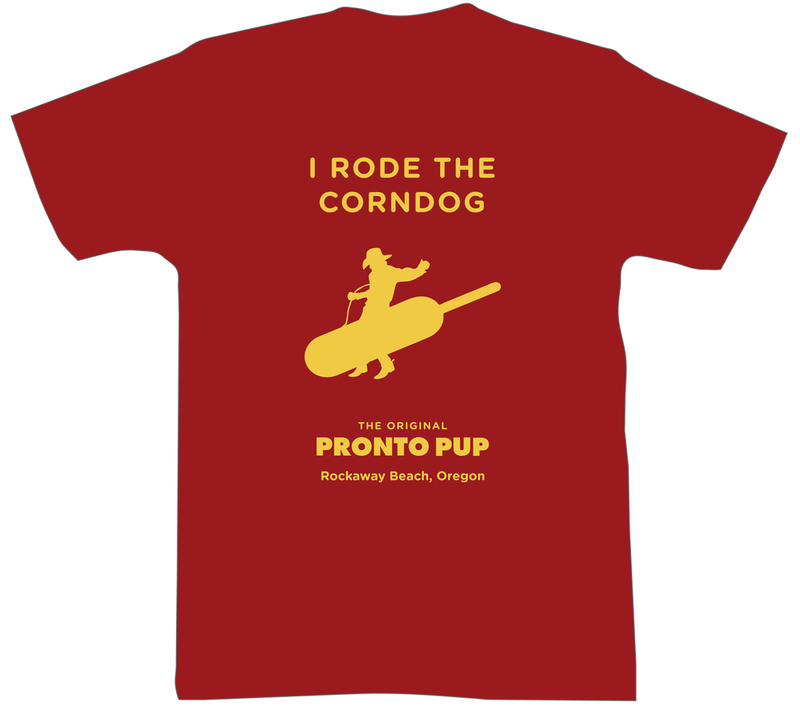 The Pronto Pup made its big commercial debut from a fountain shop window owned by the Boyingtons in Portland, Oregon. Right from the start, the tasty treat was a crowd favorite: in September 1941, over 15,000 Pronto Pups were consumed at the Pacific International Livestock Exposition. Now, the birthplace of the corndog has a new claim to fame, it is home to the World’s Largest Corndog, and World’s First Riding Mechanical Corndog. Pronto Pup batter ingredients: Wheat flour, bleached and enriched (flour, niacin, iron, thiamine, mononitrate, riboflavin), corn meal, corn flour, sugar, salt, dextrose, leavenings, egg yolk, nonfat milk, and rice flour. All of our products are sold in store only.